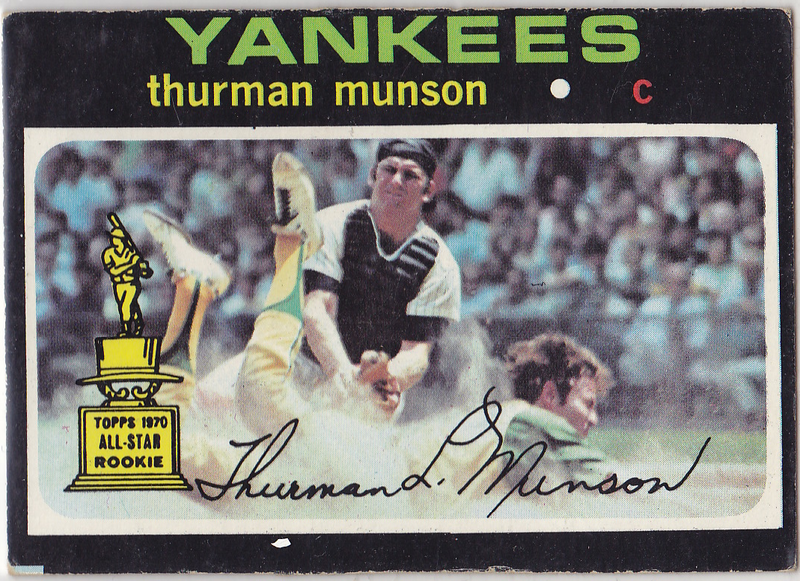 Most vintage collectors count this #5 as one of the best cards ever and I agree; here are five reasons why. Thanks to Card Corner, we know the guy sliding is Oakland pitcher Chuck Dobson. Read its article for full details, including Dobson's own place in history as Reggie Jackson's road trip roommate. 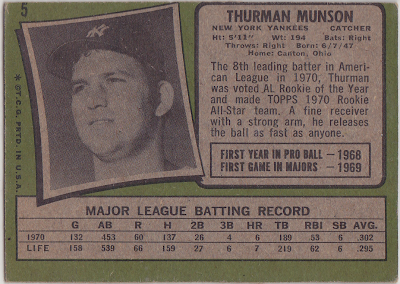 Since the card back mentions both the AL Rookie of the Year and Topps own Rookie All-Star team, I wonder: has anyone ever won the league award but missed out on a Topps trophy? 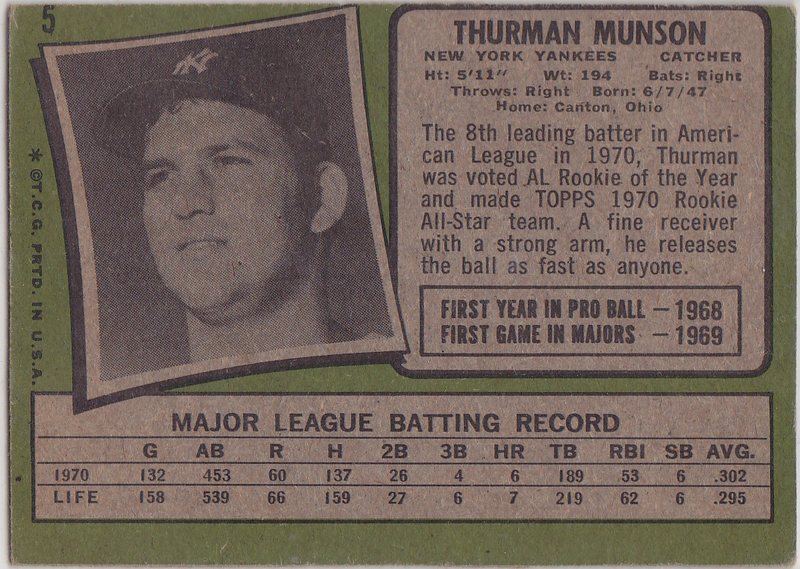 I doubt it, but stranger things have happened on baseball cards (*cough* Glenn Hubbard *cough*). 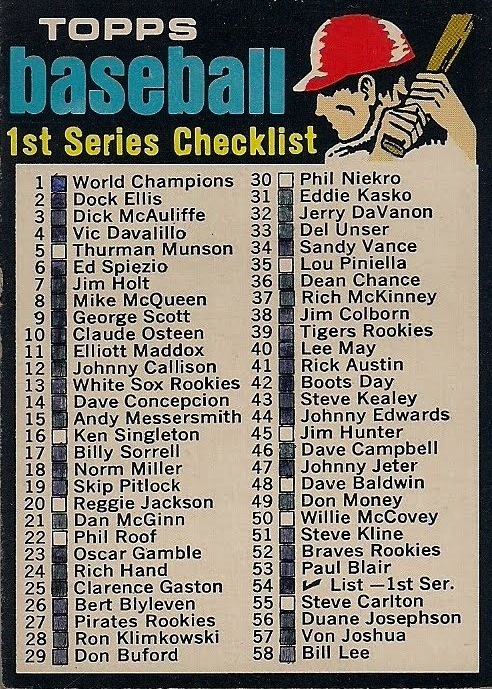 If you know of such shenanigans with the Topps All-Star Team rosters, please add a comment. 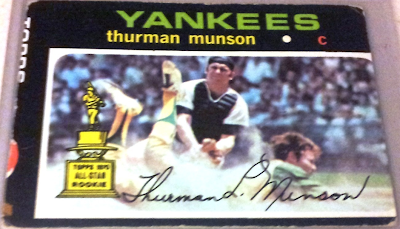 UPDATE: This mis-cut shows Munson on the printing sheet next to #54, the 1st series checklist. 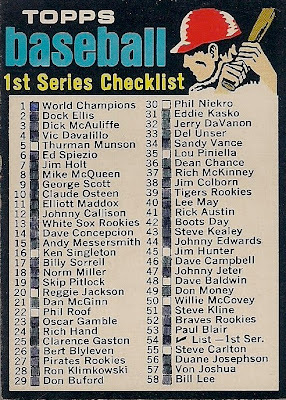 Too bad #5 was one of the few cards missing from this collector's stack; looks like he had a tough time finding those 1970s stars. Value: This card's popular, but you can find low-grade versions for $10. 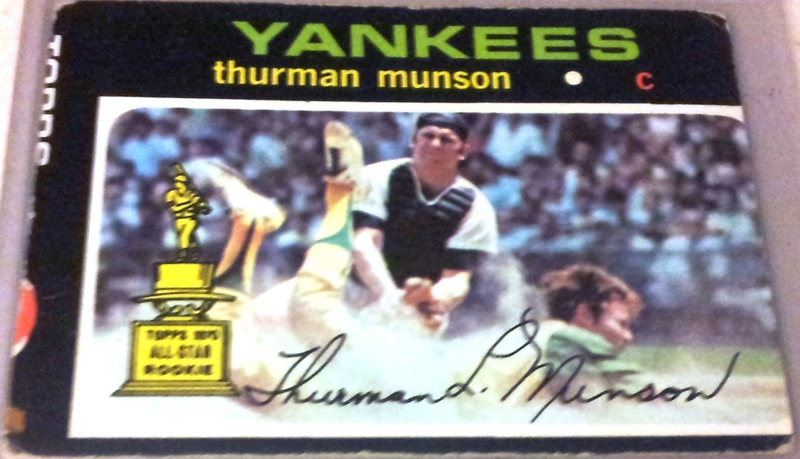 It's considered a key card for the 1971 Topps set. 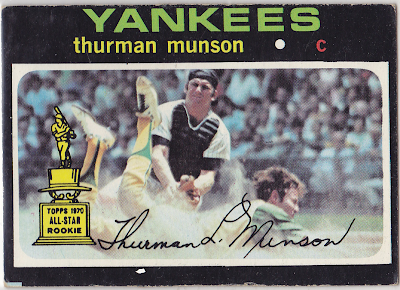 Fakes / reprints: Topps reprinted this card for their "Archives" inserts into modern sets, so look for a glossier finish and foil stamp to distinguish them. I think it would also be considered the first Topps Base card that has an action shot. Any prior action shot would have been from a WS game or a Highlights subset. Agreed, sounds like the first base card action shot. They should all be so well-composed! Chuck has never signed this card.